Michael Boon is owner of the pharmacy Heythuysen, the only one in the area. When he started in 1992, his pharmacy was situated next to the local supermarket, which wanted to expand. This essentially meant that Michael Boon had to look for a new location. In 2012 he moved to its current location. "Moving the pharmacy was an excellent opportunity to improve our efficiency," says Drs. Michael Boon. "As the only pharmacy in this area it tends to get busier as people are taking more medication. I got in touch with the makers of a robot especially for pharmacies. The robot automatically loads the wholesale crates and stores the packages in a compact manner. Then the drugs get labelled fully automatically and are issued in an efficient (work) location in the pharmacy. 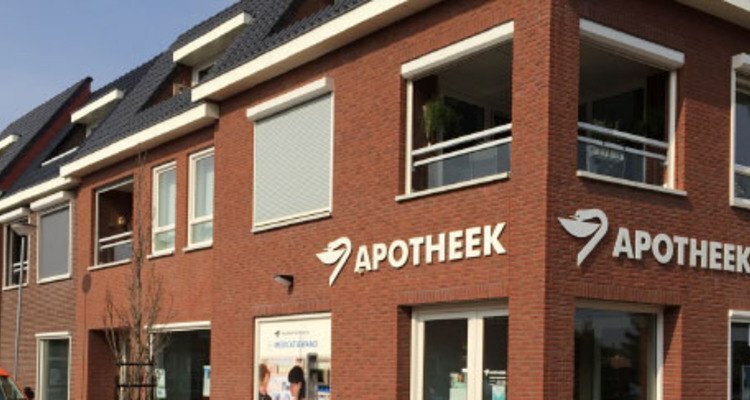 Boon invested to improve the logistics process in the pharmacy to get rid of the crowds and queues, which virtually every pharmacy deals with in the Netherlands. Besides the robot, Servisoft Track & Trace implemented a handy tool that enables pharmacies to gain full insight into the current location of pick up prescriptions. By scanning a barcode in combination with the position where the recipe is located, the current location is verified. One of the immediate benefits of this is that searching the pharmacy belongs to the past, an immediately noticeable improvement in efficiency. The ServiLocker is a self-service system that allows clients to collect their medication at any time. As soon as a packet is placed in the ServiLocker, an SMS text message and / or e-mail with a unique code takeaway is sent to the client. The client can then go to the ServiLocker a pick up the medication after giving filling out the attached passcode using the touchscreen of the locker. The ServiLocker automatically opens the door and the client can remove the recipe. Patients can pick up their medication day and night. "Incredibly conveniant, because some people run night shifts and sleep during the day," said Boon. Because of the link between AutoPharma and the SMS Gateway of mobile service provider CM text messages are sent to clients. Boon: "With this SMS messaging service, we are in charge of logistics. This has brought peace to the pharmacy logistics and distribution. We can control the number of people coming to our pharmacy. That is not only a benefit for our clients but also for us. The pharmacy was originally known as overcrowded with queues and many clients. That's history. Clients receive a text message or e-mail if their medications are ready or if a redirection is underway. Clients do not come and leave empty-handed anymore, nor call to ask if their prescription is already processed and ready. They have become accustomed to the SMS messages informing them of their prescription. The result: fewer interruptions in the workflow, no queues. No stress whatsoever." There is peace in pharmacy Heythuysen. In an hour's time, a handful of people pick up their prescriptions. And that goes smoothly, lacking crowds and queues. Besides SMS pharmacy Heythuysen uses an app to request prescriptions. "You must keep abreast of the times," says Boon. "Some colleagues still invest thousands of dollars into a system that makes queues more efficient. With these systems AutoPharma and CM I do not even have queues. " Of all the global industries, the healthcare sector will ‘suffer’ the most from mobile disruption. Today, innovations are coming to healthcare in dribs and drabs, as faster data connections launch, the process will speed up. Health information is a basic human need. That’s a guarantee for growth and in some cases a lifesaver as well. Px HealthCare, founded by medical scientists developing innovative mobile products, has won the Mobiles for Good Challenge 2014.